How to Create a non-searchable (image only) PDF file? Some users may need to create a PDF file that cannot be searched by text. This can be achieved by saving the PDF file as an 'image only'. 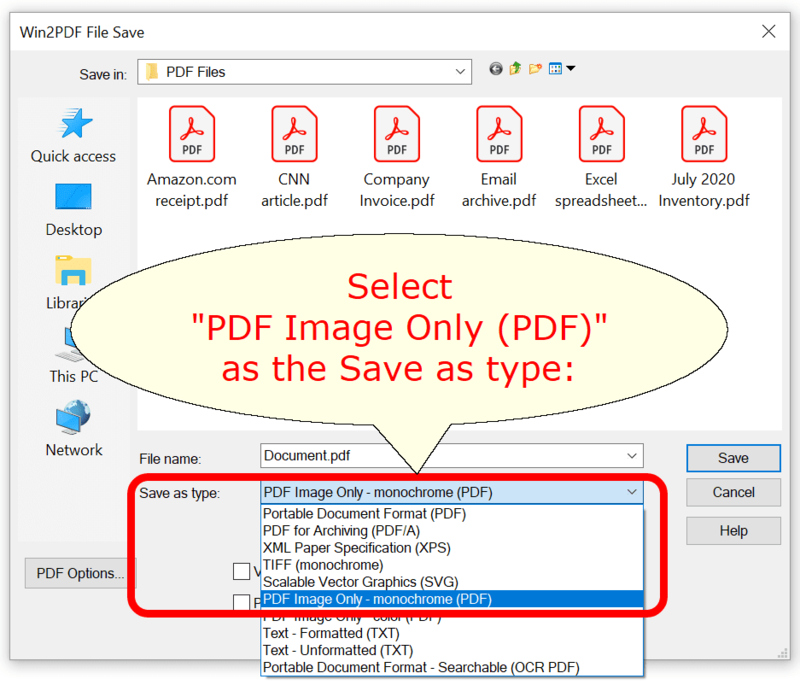 To create a non-searchable (image only) file, you'll just need to print to Win2PDF and then choose the 'Save as type:' to be either 'PDF Image Only - monochrome (PDF)', or 'PDF Image Only - color (PDF)'. The resulting PDF file will still be a standard PDF file, but the text information in the original document will be converted to images. This means that anyone doing a text search on a PDF file will not be able to find any text matches.